During the 1930s, in his search for a tastier tortilla that wouldn’t get stale so quickly, Charles Elmer Doolin (better known as C. E.) recalled a chip made by Gustavo Olguin, a Mexican native for whom he worked a short time as a fry cook. 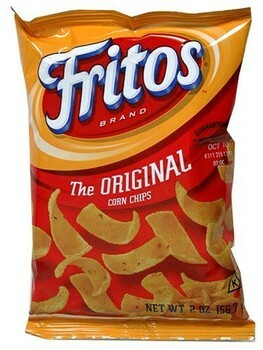 Gustavo’s fritos (meaning “little fried things”) were made from masa dough extruded through a converted potato ricer, fried, bagged, and then sold to several small accounts in San Antonio, Texas. In 1932, C. E. heard that Gustavo wanted to return to Mexico and quickly negotiated the sale of his chip recipe along with the hand-operated custom ricer and nineteen accounts for the sum of $100, which he secured from his mother ($80 from pawning her wedding rings) and a $20 loan from a business associate. He then, along with his brother Earl, father Charles Bernard, and mother Daisy Dean, founded the Frito Company and set about making corn chips in the family kitchen. C. E. Doolin spent much of his time perfecting the original recipe by breeding custom hybrid corn varieties. 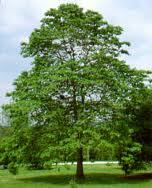 The selection used today is a closely guarded secret. In 1933, the Fritos name was trademarked and a mechanized chip making process (“Dough Dispensing and Cutting Device”) was patented. From the company’s beginning, Daisy Dean, known affectionately as “Mother” Doolin, was an active participant, continuously trying out new recipes using Fritos as an ingredient. 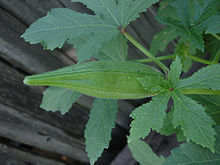 Many of “Mother” Doolin’s recipes were used to market the new corn chip and printed on the backs of the Fritos packages. 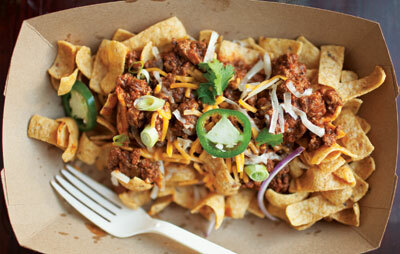 On one occasion, she sprinkled leftover chili over the chips and the subject of this story, Frito Pie, was born. There are some folks (including a number food historians) who claim the Frito pie was invented in the 1960s by Teresa Hernandez, who worked the lunch counter of Woolworth’s in Santa Fe, New Mexico. This story seems highly unlikely, however, since the recipe for Frito pie was first published in an official Frito cookbook in the 1950s. Regardless of which of the two stories you choose to believe, the fact is that Frito pie was a super hit throughout the American southwest, becoming popular lunchroom fare and a featured recipe in almost every junior league cookbook. Frito pie was also a staple concession item at Friday night high school football games and other outdoor events across the Lone Star state. Almost as iconic as the dish itself is the way Frito pie was served at many of these events: simply slit the Fritos bag lengthwise along the side, top the contents with a ladle of warm chili, a handful of shredded American cheese, some diced onion, and serve with a plastic spoon. Today, this once humble street food has reached haute cuisine status with recognition being given to it by national publications like the New York Times, Bon Appetit, and The New Yorker. 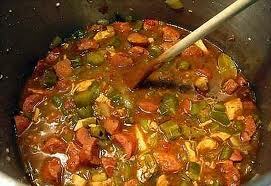 Frito pie has also been lauded by chef superstars such as Daniel Boulud and Emeril Lagasse. It’s even made it onto Saveur magazine’s list of 100 trendiest foods. 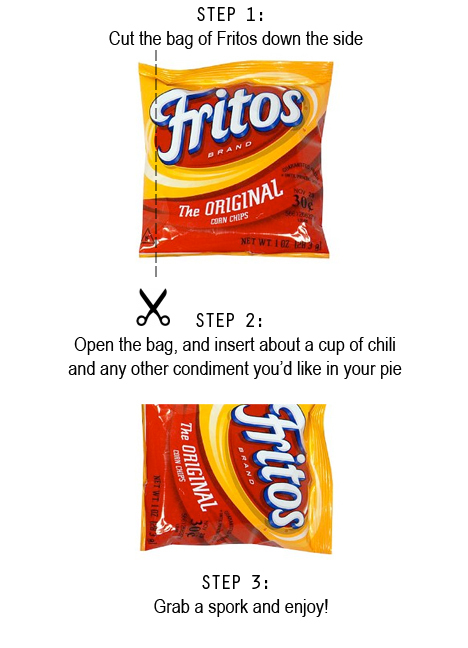 For those of you who have never had the good fortune of enjoying this delicious retro dish, why not pick up a bag of Fritos corn chips (original only), a can of Wolf Brand Chili (no beans, please), cheese, and onion, and whip up a batch. Of course, serving it in the bag is optional.